This is another one of Taschen's 25th anniversary series of artbooks. They have already featured more than 10 artists the last time I counted. This book is a 96-page, larger than A4 size, hardcover, similar to other books in the series. 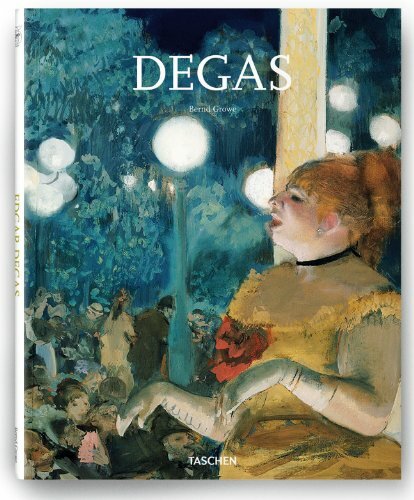 Authored by Dernd Growe, the book talks about the life of Edgar Degas and the stories behind the selected paintings that are featured. While he's usually identified with drawing dancers, the book also shows off works depicting other subjects, usually with human element, portraying life. I find his composition quite unusual at times and it's interesting to study them. Since this book is a condensed version of Degas' complete list of work, it's more of introductory guide. It's a good book and the price is quite affordable.